This volume represents the proceedings of a course by the same title held at Harbor House Resort and Conference Center on Nantucket Island off the coast of Massachusetts, October 22-24, 1993. Numerous minerals are known to induce pulmonary diseases. The asbestos minerals (chrysotile and asbestiform amphiboles) are by far the most infamous. However, a number of silica polymorphs, clays, and zeolites have also been studied in great detail, as have several titania polymorphs, hematite, and magnetite (which are often used as negative controls in biological experiments). In fact, the relatively recent attention received by erionite (a fibrous zeolite) has arguably made it the most notorious of the minerals studied thus far. The processes that lead to the development of disease (or pathogenesis) by minerals very likely occur at or near the mineral-fluid interface (as do many geochemical processes!). 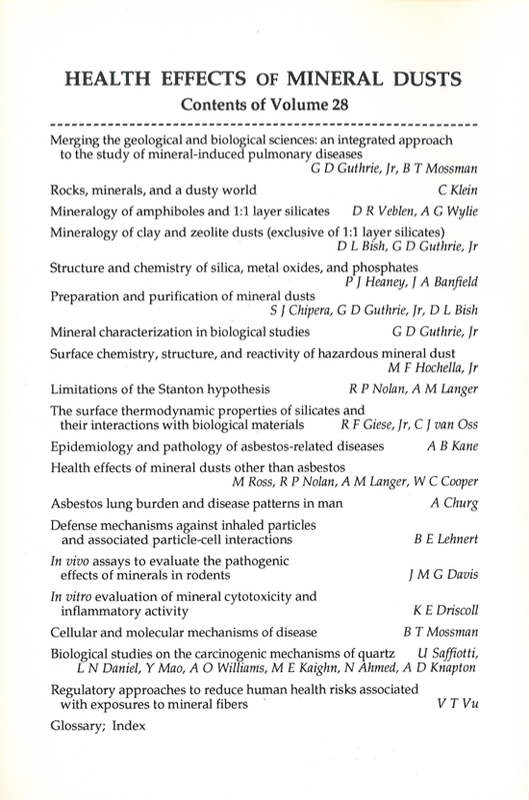 Thus the field of "mineral-induced pathogenesis" is a prime candidate for interdisciplinary research, involving mineral scientists, health scientists, petrologists, pathologists, geochemists, biochemists, and surface scientists, to name a few. The success of such an interdisciplinary approach rests on the ability of scientists in very different fields to communicate, and this is hampered by vocabulary barriers and an unfamiliarity with concepts, approaches, and problems. It can be difficult enough for a geoscientist or bioscientist to maintain fluency in the many fields tangential to his or her own field, and this problem is only exacerbated when one investigates problems that are crossdisciplinary. Nevertheless, important advances can be facilitated if these barriers are overcome. This review volume and the short course upon which it was based are intended to provide some of the necessary tools for the researcher interested in this area of interdisciplinary research. The chapters present several of the important problems, concepts, and approaches from both the geological and biological ends of the spectrum. These two extremes are partially integrated throughout the book by cross-referencing between chapters. Chapter 1 also presents a general introduction into the ways in which these two areas overlap. However, many of the areas ripe for the interdisciplinarian will become obvious after reading the various chapters. 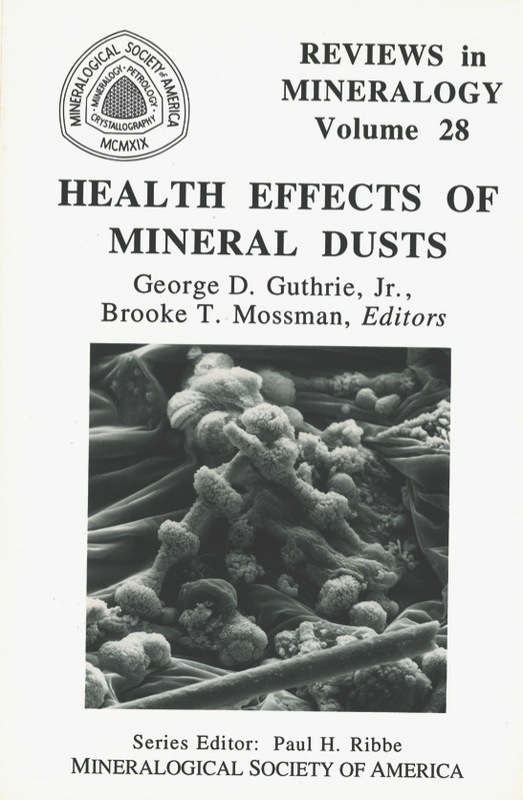 The final chapter of this book discusses some of the regulatory aspects of minerals. Ultimately, the regulatory arena is where this type of interdisciplinary approach can make an impact, and hopefully better communication between all parties will accomplish this goal. A glossary is included at the end of this book, because the complexity of scientific terms in the two fields can thwart even the most enthusiastic of individuals. Index, p. 577 - 584.